I recently received extremely sad news. My grandmother, Carrie Edyth Bullard Joslin, maintained a correspondence with Edith Wessler from a period before my birth in 1946, to the time of Mrs. Wessler's death. Edith Wessler was an amazing woman, devoted to the research of the Joslin, Joslyn, Josselyn, Jocelyn, Josseline family (in all its spelling variations and across all continents.) Her research was undertaken in an age far removed from computerized databases, Internet access to census records, family histories, scanned photocopies of Bible records and all the wonders of access and organization afforded us today. She developed her own specialized method of organizing the extensive volumes of information derived from her network of Joslin family historians, researchers, and those who responded to her requests for knowledge. She maintained separate three-ring notebooks, cross-referencing family connections with her own complex system. After these grand ladies took their separate paths beyond the veil, I had the great fortune of becoming acquainted with Edith Wessler's daughter, Anne Carolyn Wessler Treadway, known affectionately as Carol. Carol was a wife, mother, grandmother, educator, with an avid interest in hand quilting. She was not a genealogist, in fact, described herself as a "reluctant researcher." Yet, being the inheritor of her mother's vast collection of background materials, all the three-ring notebooks, the inquiries and corrections forwarded to her by later day family researchers, Carol undertook the seemingly impossible task of updating her mother's life's work. Many years before Carol decided to take on this task, she and I started corresponding. Initially, my inquiries about Joslin research were the seed for our connection. But, soon, we were exchanging emails with little to do with the research and much more to do with resuming the friendship her mother and my grandmother had enjoyed for all those decades. She told me about her latest quilting project and I shared my exasperation or joy over the progress of my latest knitting project. We chatted a bit about birds we'd been blessed by seeing, weather, kids and grandkids, exchanged Christmas greetings and updates. We became friends. When she finally committed to providing an update to her mother's work, Carol was adamant in staying true to her mom's commitment to truth and accuracy. After almost a decade, many failed attempts at transforming the data in all those notebooks and all the later correspondence into a computerized database, she finally resorted to accepting the assistance of another Joslin researcher. Her final contribution to our store of knowledge was a two volume set of updated material. Subsequently, she provided me (as I am certain she did others) with newly discovered errors or corrections or additions to those volumes. My last correspondence with Carol was just after Christmas 2015, and was typical of the charming, considerate, humorous woman I had come to know and love. She exhorted me to correct an oversight in one branch of my Joslin line, spoke of the weather, mentioned her woe at never having enough time to devote to all her interests, and then, amusingly, mentioned her well anticipated solution: Quilt! Thank you so much for all the time and energy you required for writing the three full pages in answer to my inquiries. You have so much more information than my correspondent plans to put in his Society newsletter. I am sure he is not privy to all of it And I am not sure whether he would want to use it. BUT it is your information, and not mine to pass along. I have read your most interesting and informative contribution to ancestry.com on Abraham, and added it to my own site, and I think that you may want to be the acknowledged contributor of any info on Ethel Agnes Joslin Vernon. I meant to check your sister's web site to see if you had already done so, but forgot. I will after writing this, and if I find that you have a story about her online, should I refer him to it? Your research is meticulous, and I'm grateful for your willingness to share with me. It is too bad that all your work has not unearthed the identity of P.R. Joslin. I will tell Vernon Lane about that, and can leave it up in the air as he has written that I am uncertain which William he may be. About Isaac being youngest son of William of Deerfield -- in my mother's notes she disagreed with the lady who wrote "The Isaac Joslin Family of Downe Township," and listed him as son of William's son, Thomas. As such, I did so in my book as "probable son" of Thomas. When working with her records and notes, I did make corrections if I had proof that she was wrong, but she was emphatic in her denial that Isaac would have been William's son. I have no idea why. I never found any record to back it up or vice versa. As I've said many times, I am not a researcher. There was too much information about too many thousands of people for me to dig deeply. When I was uncertain, I used "probable" or "possible" as my effort to indicate some uncertainty -- which usually happened when I had conflicting information or lack thereof. Since publication of the book, Roland Joslin of Grandview TX has continued to probe all things Joslin found online, and he has had a ball with the 1940 census. My computer has benefited from his findings, and he has recently sent me another record -- this time on a thumb drive. I don't know how to use the thumb drive and have been dragging my feet and haven't sought assistance from the Geek Squad. I really must do that and get back to my genealogy. Been making quilts again. I especially appreciate your response to my e-mail because you are so busy arranging for the lodging of your nephew. I know he must be very grateful. This new arrangement will not be easy, and I won't trouble you further. Family is important and you will be blessed greatly for your love and care. It was June 4th of this year, I received notice from Carol Grauh, another Joslin researcher, via Ancestry. She had been referring to some piece of information I'd added to my tree and noticed the apparent close friendship I shared with Carol. She then said she felt I should know that Carol Treadway had passed away and told me how I could find her obituary. 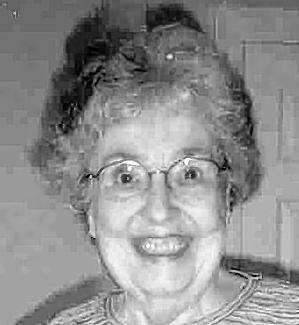 Treadway, Anne Carol C. (nee Wessler), it was time to go, Friday, April 22, 2016 at the age of 87. Loving wife of the late Howard J. Treadway Jr; mother of Stanley Paul Treadway, Jane Leslie Young and Edward Ted Joslin (Theresa Ann) Treadway; grandmother of John Richard (Maria Conception) Young, Savannah Jane (Patrick Zane) Kier and Jocelyn Michelle Treadway; sister of the late William and Leroy Wessler; aunt, great aunt and friend to many. Carol loved her family, genealogy, quilting and her beautiful flower gardens. She was very involved in the Beaumont High School Reunion Committee, Classes of 1946. One of Carol's many roles was church secretary at Salem in Ballwin United Methodist Church under the tenure of three ministers. She will be forever in all of our hearts. Services: Funeral service at the SCHRADER Funeral Home and Crematory, 14960 Manchester Road at Holloway, Ballwin, Monday, April 25, 2016, 2:30 p.m. Interment Salem United Methodist Cemetery in Ballwin. In lieu of flowers, contributions may be made to: The Memorial Fund at Mercy Hospice on behalf of Anne C. Treadway. Visitation Monday 10:30 a.m.-2:30 p.m. Friends may sign the family's on-line guestbook at Schrader.com. I just finished reviewing the brief paragraph dedicated to the memory of Anne C. Wessler Treadway. An accompanying photograph depicts the lovely, smiling visage of the grand lady I have been blessed to know. There are never sufficient words to describe the life of any person. I wanted to share my knowledge of the wonderful soul who departed this life April 22nd of this year. Rest in peace, sweet Carol. I assure you, your passing has not gone unnoticed. You shall be dearly missed. 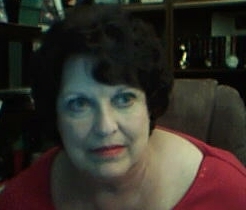 See pic of Anne Carol (Wessler) Treadway below.